Free resources like the ones showed in this article will help you save precious time and finish the websites faster. 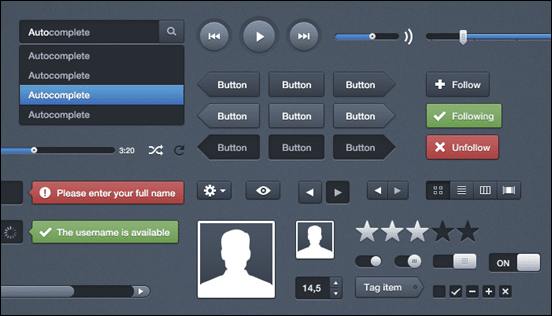 Check out these UI kits which will surely help you a lot! 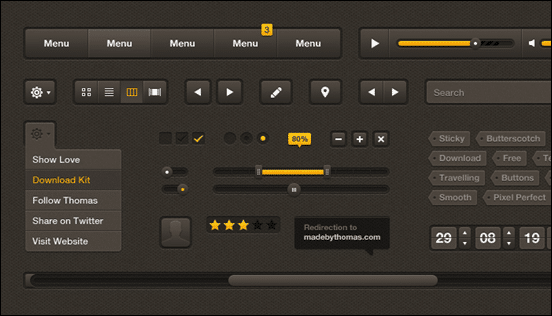 Moonify UI is a detailed PSD containing over 60 elements, well organized and easy to edit. It’s a great free resource to add to your collection. This free download is an awesome UI kit with resizable shape layers in a clean, well organized PSD file. They are colored in dark brown and have yellow accents. 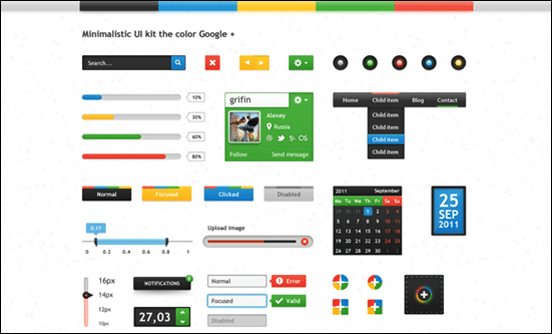 This is a free Minimalistic UI kit inspired by the color and interface design of Google +. You’ll have everything you need in this free PSD kit. It’s wasy to edit too. Well designed, high quality UI elements are the key to a good user experience. This free PSD contains a number of useful elements in a modern, sleek style. They are colored in light blue, light greys and vibrant yellow. Simple UI Elements is a clean, well organized PSD file containing popular user interface elements for web and app designs. They’re colored in modern light greys and blues. This is a a free PSD UI kit. The file is fully layered and very well organized. 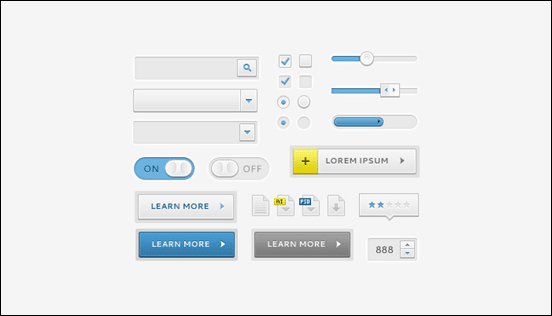 There are a lot of the common elements included in this user interface kit. 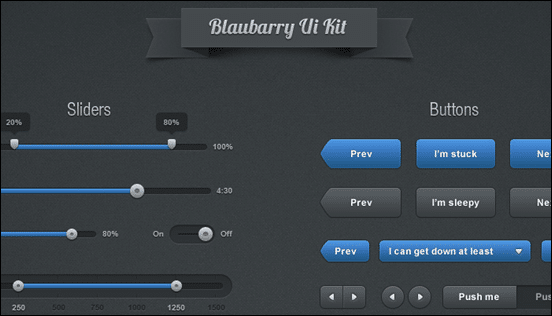 Blaubarry UI Kit is a PSD full of useful buttons, sliders, scrollbars, and form elements. The file uses shape layers for easy editing and resizing. 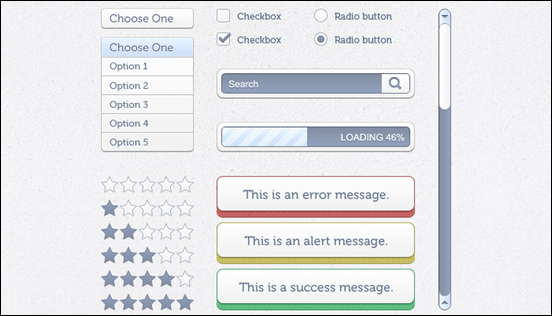 This is one of the greatest user interface components n the web. It showcases a creative collection of UI elements, for free! 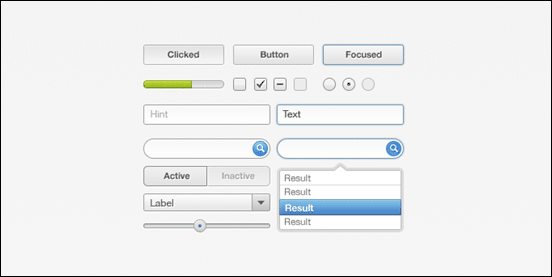 This is a free UI elements kit with buttons in all states, sliders, input fields, search fields and more. 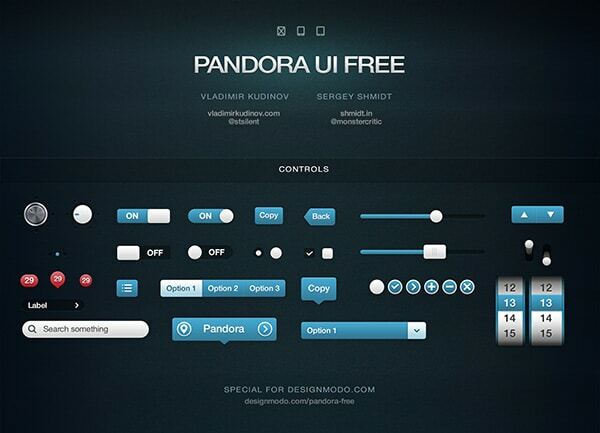 The Pandora UI Free Kit, contains 2 samples and some elements that can be used in developing iPhone and iPad applications (Retina Display).